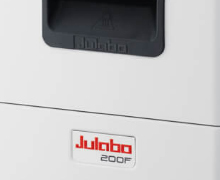 Created in 1967, Julabo GmbH is a German company specialized in the design of temperature control devices and laboratory thermostats. Thanks to its know-how, state-of-the-art technology and experience acquired over the years, Julabo innovates and continually improves its products to meet the requirements of professionals in research, development and industry all over the world. This manufacturer innovates with deep concern for the environment : strict tests are carried out throughout the manufacturing process, in compliance with DIN ISO 9001 et DIN ISO 14001. 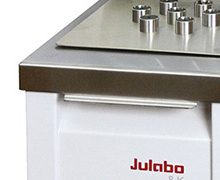 The equipment Julabo is reliable, powerful, easy to use and of high quality. Milian offers you a wide range of options and accessories Julabo for the thermal control in the laboratory. Milian is an official distributor of Julabo products. 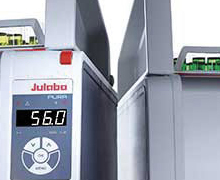 Julabo has developed powerful devices ranging from -95 ° C to + 200 ° C, equipped with state-of-the-art control technology and LED display screens for better readability.